Love a cheesy pizza? 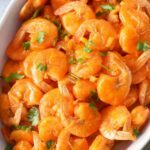 If so, you will surely love this low-carb, keto-friendly dip! 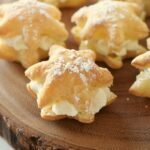 But you don’t have to be on any diet to enjoy this goodness! Have you ever tried a pasta sauce that is just so darn delicious that you want to add it to everything? A few brands that I really love are Mezzetta Napa Valley Homemade Pasta Sauces & Rao’s Homemade Marinara. They are both delicious and hearty sauces that are made with quality ingredients. But, if you are on the keto diet, the Rao’s Marinara is the way to go! It is low in sugar & carbs! Rao’s Marinara is priced a little higher than I would normally like to pay, but the quality in flavor far surpasses most of the competition! Plus, it comes in many varieties that are perfect for all tastes. 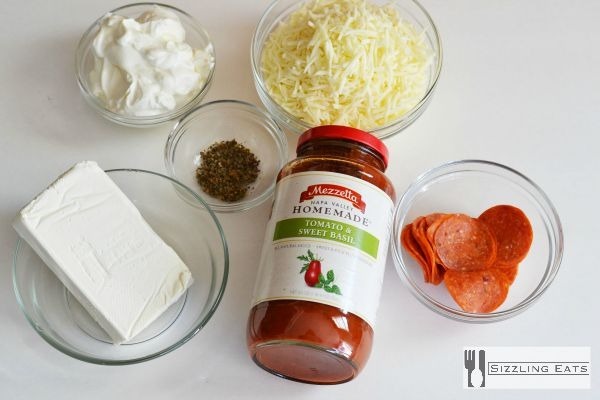 For this Pepperoni Pizza Dip, you will want to use a quality marinara or pasta sauce–because a good sauce “makes” this kind of dip. 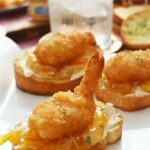 had no idea what the keto diet was, but looking back to this, it sure is keto-friendly! My kids and husband call this my famous dip because it really is all the goodness of a pizza in a crustless form. When my daughter who has a gluten allergy craved pizza I made this just for her. I serve mine with homemade breadsticks, bagel chips, or really any sort of thick chip. In large bowl combine the cream cheese, sour cream, spices, Parmesan, and 1 cup of mozzarella cheese. Place mixture in a large pie plate, and then cover with the remaining one cup of mozzarella cheese. 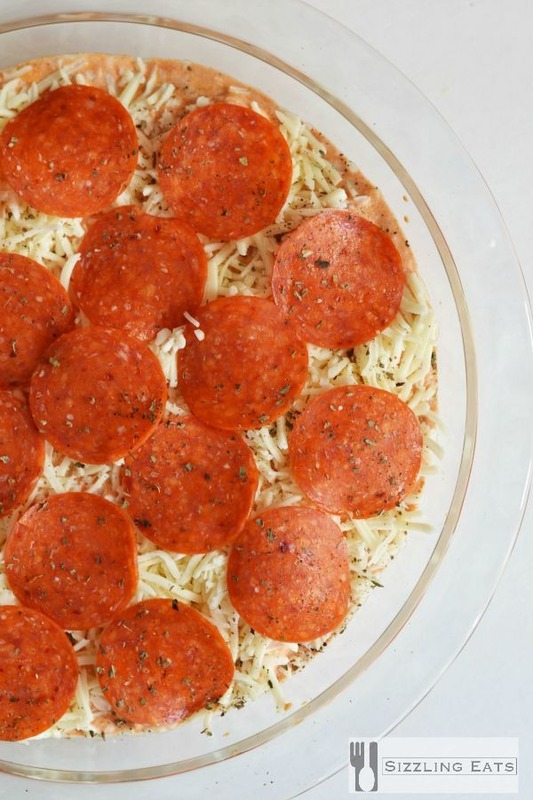 Layer the pepperonis on top and then bake for 25 minutes at 350 or until bubbly and slightly golden brown. Looks delightful huh? I promise it tastes just as good! 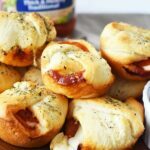 It is perfect for movie nights, parties, and the BIG Game! Who else is ready to dig in? 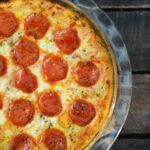 This warm and delicious crustless pizza dip is low-carb, keto-friendly and perfect for a game day celebration! This sounds so good, I had to share on my FB profile with friends and so I can go back and enjoy this later :) Yummy! 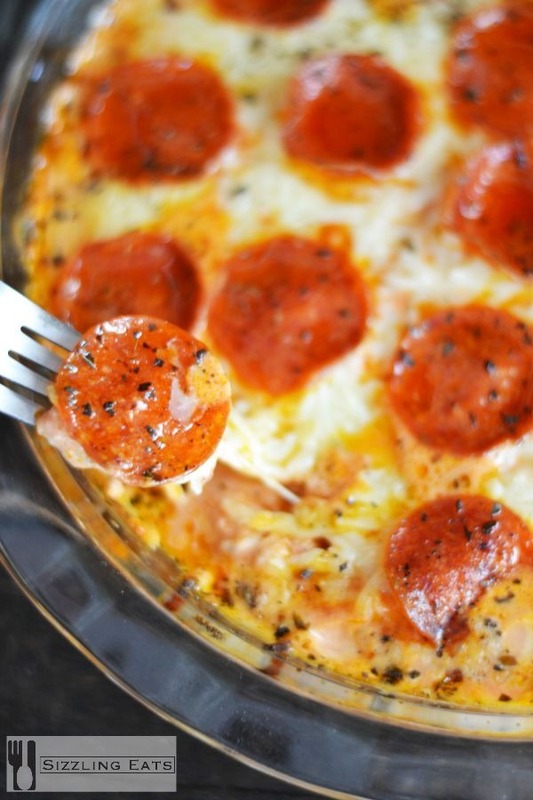 I love sauce and cheese so your cheesy pepperoni pizza dip is definitely for me. I can’t wait to make it! Next time I go to Stop and Shop I’ll be sure to pick up some jars to make this dip and I want to try it in my lasagna because I’ve been looking for a good thick sauce. This looks amazing! 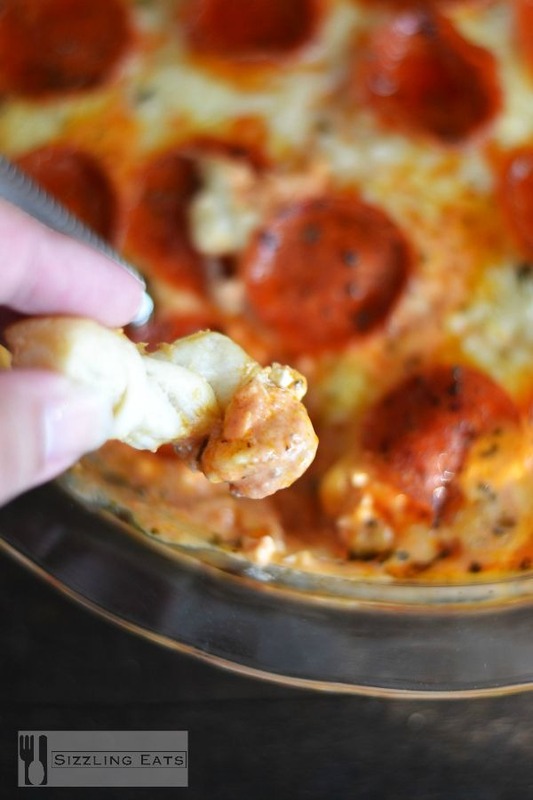 I have never had any pizza dip before. 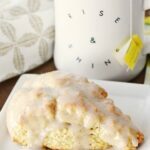 I definitely want to try this recipe out soon. I’m sure it will taste delicious! Oh my goodness……you had me at the photos! 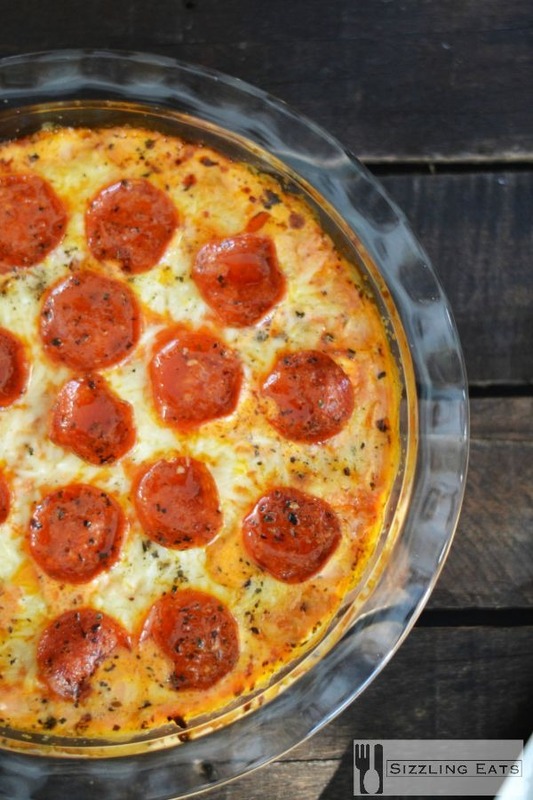 I’m seriously craving this pizza and dip right now!! I never would have thought to make something like this! It looks absolutely awesome! What an awesome idea! We love pizza but sometimes we don’t always care for the dough (not al dough is created equal lol). 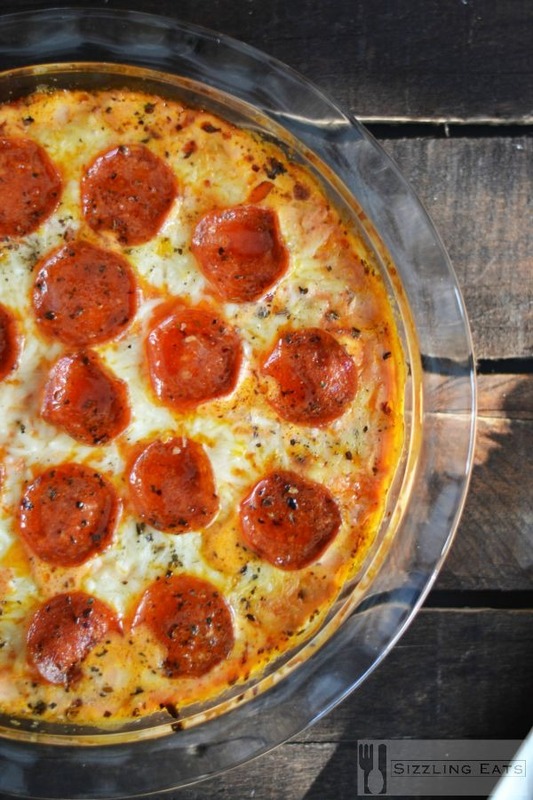 Pizza dip sounds like the perfect way to enjoy your pizza without a the crust. I’ definitely be making this soon, probably even this weekend!